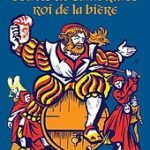 The “King of Beers”, a Saint, Myth or Legend? Quite possibly all of the above. 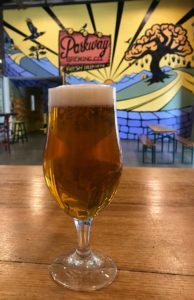 While our ‘Bizarre American Holidays’ calendar tells us that April 11th is “King Gambrinus Day” and that he is widely credited with adding hops to beer, we thought we should do some more research. Gambrinus (/ɡæmˈbraɪnəs/ gam-BRY-nəs), is a legendary European culture hero celebrated as an icon of beer, brewing, joviality, and joie de vivre. Traditional songs, poems, and stories describe him as a king, duke, or count of Flanders and Brabant. Typical representations in the visual artsdepict him as a rotund, bearded duke or king, holding a tankard or mug, and sometimes with a keg nearby. Gambrinus is sometimes erroneously called a patron saint, but he is neither a saint nor a tutelary deity. In one legendary tradition, he is beer’s inventor or envoy. Although legend attributes to him no special powers to bless brews or to make crops grow, tellers of old tall tales are happy to adapt them to fit Gambrinus. Gambrinus stories use folklore motifs common to European folktales, such as the trial by ordeal. Some imagine Gambrinus as a man who has an enormous capacity for drinking beer. Among the personages theorised to be the basis for the Gambrinus character are the ancient king Gampar (aka Gambrivius), John the Fearless(1371–1419) and John I, Duke of Brabant (c. 1252–1294). 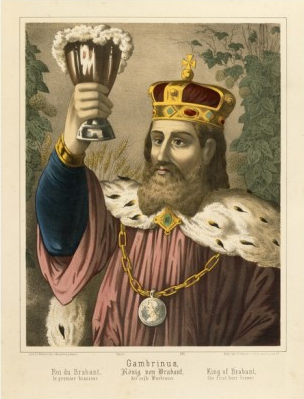 “King Gambrinus, known as “the patron saint of beer,” has long been a universal symbol of beer and brewing. Particularly during the late nineteenth century, the image of Gambrinus was used by countless brewers to promote their products and remind consumers of the rich heritage of beer-making. Many breweries were even adorned with life-size statues of the King. And there’s a second famous tale about how Gambrinus gained his title King of Beer. A group of brewers came together to choose their new leader. They agreed that it had to be someone who was strong and courageous and they came up with a contest; whoever could carry a huge beer barrel the fastest over a distance of ‘two stone throws’, would be their new first man. One after another tried to move this enormous barrel full of beer. Some of the contestants managed to move it a few meters but nobody came even close to the finish line. Last of all it was Gambrinus’ turn. Instead of using brutal force, he had a servant install a little tap in the barrel. He then went to lay under it and drank beer till the barrel was empty. After this cunning trick it was a piece of cake to move the barrel. Impressed by his shrewdness, as well as his drinking skills, the other brewers immediately named Gambrinus their leader and gave him the title King of Beer. 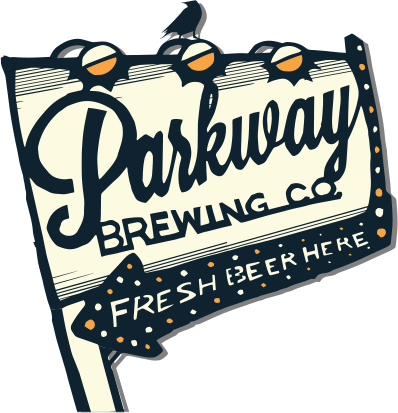 We hope you have enjoyed the last 20-minutes of frivolity and no matter what your take away from this edition of Beer Buzz, we hope you enjoy drinking Parkway Craft Beer as much as we enjoy making it for you!